Sanjay Leela Bhansali’s upcoming period war-drama Padmavati is certainly the most-talked about subject within various quarters of Indian media. With protests surging everyday from different corners of the country, and Rajput community getting offended by the supposed “indecent” portrayal of Queen Padmavati in the film, a word of support comes as a huge relief. More so, if it comes from the Maharashtra Navnirman Sena (MNS) chief Raj Thackeray. 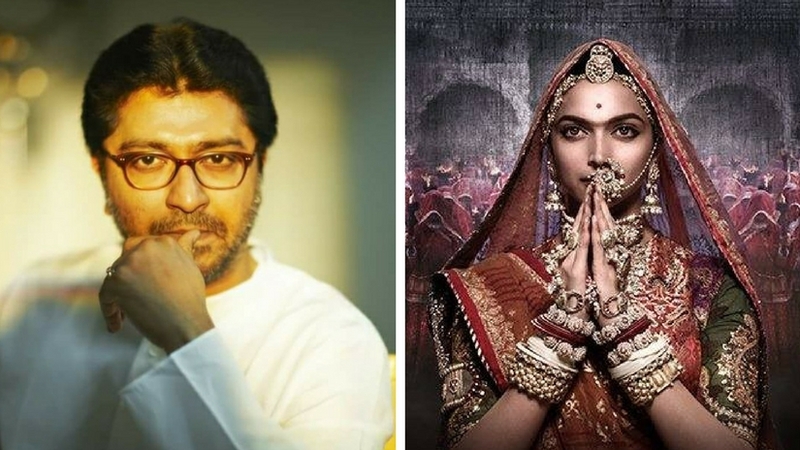 Backing the chief’s stand, MNS leader Ameya Khopkar, said, “Let Padmavati be released and let people watch it. If there’s something objectionable, we can talk to Sanjay Leela Bhansali,” reports news18. This comes as a sheer surprise, as Thackeray’s party has been at the forefront protesting, and often relying on violence, to oppose a film’s release. Be it Karan Johar’s film My Name Is Khan, or his most-recent Ae Dil Hai Mushkil — both had to face the wrath of MNS. Padmavati is based on the life and times of Queen Padmavati of Chittorgarh who took to self-immolation instead of falling at the evil pangs of the foreign invader Alauddin Khilji. The film, starring Deepika Padukone, Shahid Kapoor and Ranveer Singh, is slated to release on 1 December.